“There is one thing you have got to learn about the movement. Every Black American artist stands on the shoulders of Fannie Lou Hamer. All of us, actors, writers, singers, filmmakers, poets, rappers, painters, and musicians. We stand even now, in 2019, we stand on the very shoulders of the Fannie Lou Hamer’s of yesteryear. The marches, the long hot marches, the beatings, the horrible ugly beatings, all the innocent precious blood shed on our behalf. Poor Black Americans of the south carried the heavy load and they gave their all so that the younger generations to follow would be free. Today, we are billionaires, millionaires, and famous beyond all measure. The question we must ask ourselves was first asked by Dr. Martin Luther King Jr. I am speaking directly to Black Artist today… what’s up? What do you contribute to Black History Month? we have to make life better for somebody? The success mode of travel we enjoy, the luxury lodging we so love, the fancy restaurants we like to eat ,the very top schools we love enrolling our children in, the right to vote like EVERYBODY else was paid for by the Fannie Lou Hamer’s of this world. Who is Fannie Lou Hamer you ask? She is a very important Black woman whose grandparents were slaves who picked cotton. Her parents were sharecroppers on the same cotton plantation. from her job after 18-years of service. Years later one of Fannie Lou Hamer’s daughter’s died as a result of being denied hospital care because of her civil rights activism. organizations fighting for civil rights. Let me echo loudly and clearly, we all stand on the shoulders of Fannie Lou Hamer. We would be nothing without the blood shed, tears swallowed yet faith never lost or given up. During Black History Month we need to step-up roll up our sleeve and do for our communities what needs to be done. Sometimes giving back means writing a check to a local community center, or a local senior citizen or homeless shelter. sent his number one man down to Atlanta with the express orders from Berry Gordy; whatever they need in Atlanta give it to them. I’m told Berry Gordy rented every transport car from Augusta to Atlanta to transport artist and celebrities. Berry Gordy also rented, paid for out of his own pockets hotel rooms for all the artist from MOTOWN and chartered a plane and flew all the groups down to Atlanta so they could pay their respect to Dr. King. poor, too often uneducated Black People. Schools were not an option in so many places across the south. So here we are, rich, famous, educated. Do we really know the history of our race in America? What is the take away you ask? YOU-ME-WE stand on the shoulders of some really great human beings the like we seldom see or feel today. Let’s be better than we were and give back with a spirit of humility and thanks for what was done for us. Fannie Lou Hamer worked day after day, year after year raising public awareness about the unfair policies that kept Black Americans away from the ballot (Vote) her efforts helped pass the 1965 Voting Rights Act, which ban literacy tests and other barriers that were set up to keep Black Americans from exercising their right to Vote. She is one of the most important woman of the 20th century. Our children should be taught about her, for she is an American Hero. about organic production altogether, it was Rashid Nuri. of Truly Living Well Center for natural urban agriculture in Atlanta. Dr. Nuri, what is your ambition for 2018? I will take on a new role in the organization. I’m one of the senior most people in the area of urban food. Going forward, I’ll provide advice and support to Truly Living Well and other organizations. On August 31st I will be 70-years old and that happens to be on a Friday! That will be my last day as CEO; I will turn it over to some younger people with a different kind of energy. Dr. Nuri, I know that you can live anywhere in the world, why did you chose to live in Atlanta? Well, Atlanta really choose me. When I was living in Ghana there were these three ladies who came to the club where I used to hang out and we got to talking.They told me what they wanted to do and I told them what I was all about. I came to Atlanta in 2006 and I started Truly Living Well. Dr. Nuri, has the black church in Atlanta embraced Truly Living Well? embraced the local food movement as their own. They will have health fairs and such. people become self sufficient. I would like to see churches get more involved in community development in general. When did you first become aware of George Washington Carver? 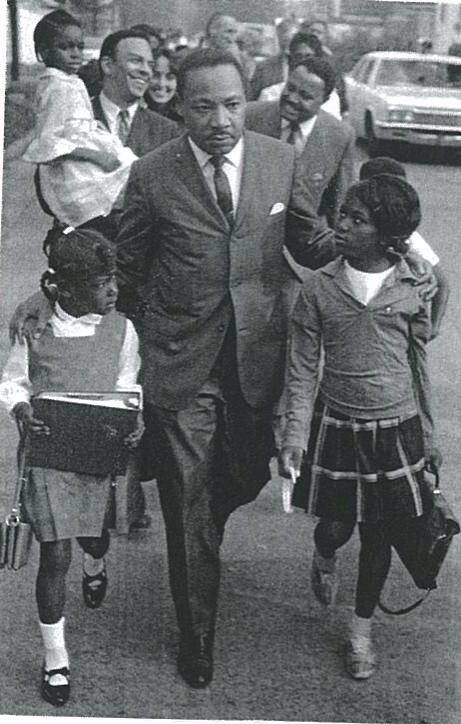 My first connection to George Washington Carver was in elementary school. There were a series of biographies and as a child I read a lot of biographies. In many of those biographies there is a lot of fantasy. Over the years through my continued interest in George Washington Carver I have developed a better understanding of what he’s done and the role he has had in this whole process and the contributions he made. If you could have a gigantic billboard anywhere in Atlanta with anything on it, what would it say? What is the best investment you’ve ever made? The best investment I’ve made is my children and giving them a good education. If you could sit down with Mayor Bottoms and share an idea, what would that idea be? urban agriculture is playing in solving just about any problem that you can come up with in the city. Urban agriculture helps increase property values, reduces crime, it is an educative process for the community. Urban agriculture helps people feed themselves, it creates jobs. on her radio program ‘JUST PEACE’ the program airs from 6:00-7:00 PM. JUST PEACE is a weekly program hosted and produced by Heather Gray. WRFG RADIO 89.3 FM. Atlanta, Georgia. 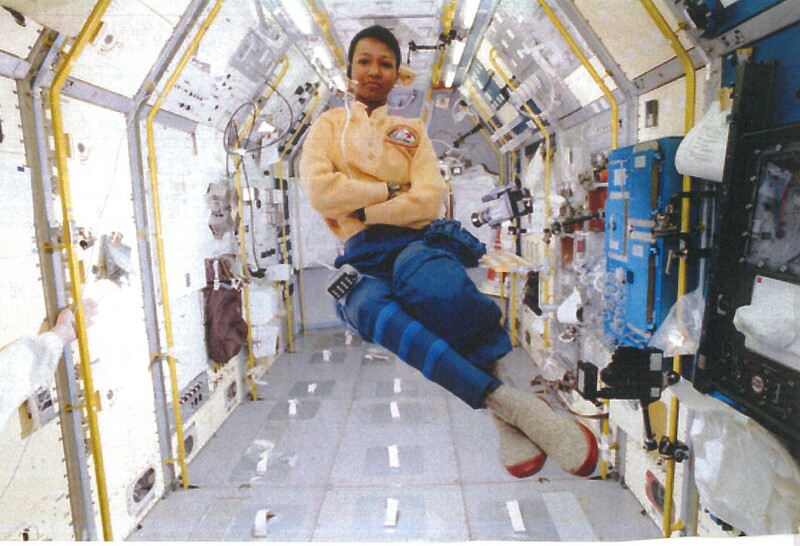 were selected for the astronaut program and Dr. Mae Jemison was one of them. where she received her doctorate degree in medicine. June 1987 she was selected as the science Mission Specialist on STS-47 Spacelab. “The first thing I saw from space was Chicago, my home town. the flight commander called me up to the flight deck. Dr. Jemison has said on many occasions that she was inspired by Dr. Martin Luther King Jr.
“Dr. King’s dream was not a elusive fantasy but a call to action. 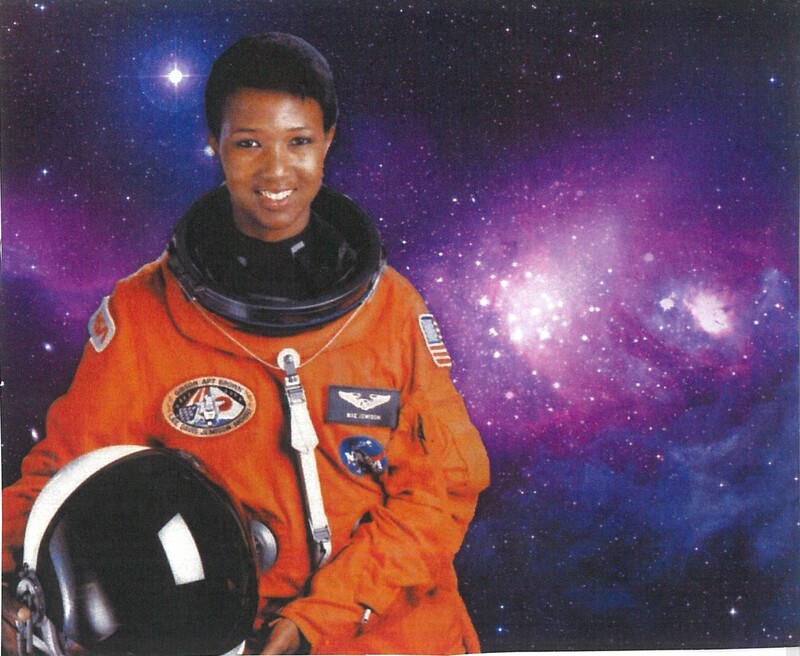 Black American woman astronaut to go on a space mission. Dr. Jemison has also appeared on television as an actress, including the popular Star Trek: The Next Generation. “Growing up…I was just like every other kid, I loved space, stars, and dinosaurs. 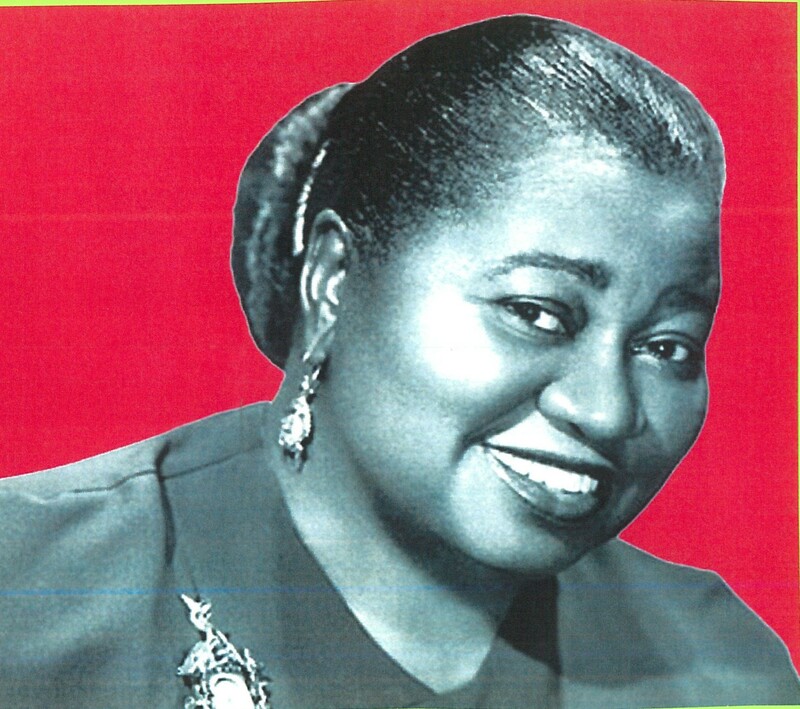 The great Hattie McDaniel appeared in over 300 films in her long and amazing career in motion pictures. Hattie McDaniel was born on June 10th, 1895; she first joined the Screens Actors Guild in 1934.
to ask if her own maid could be given the maid role in the movie. 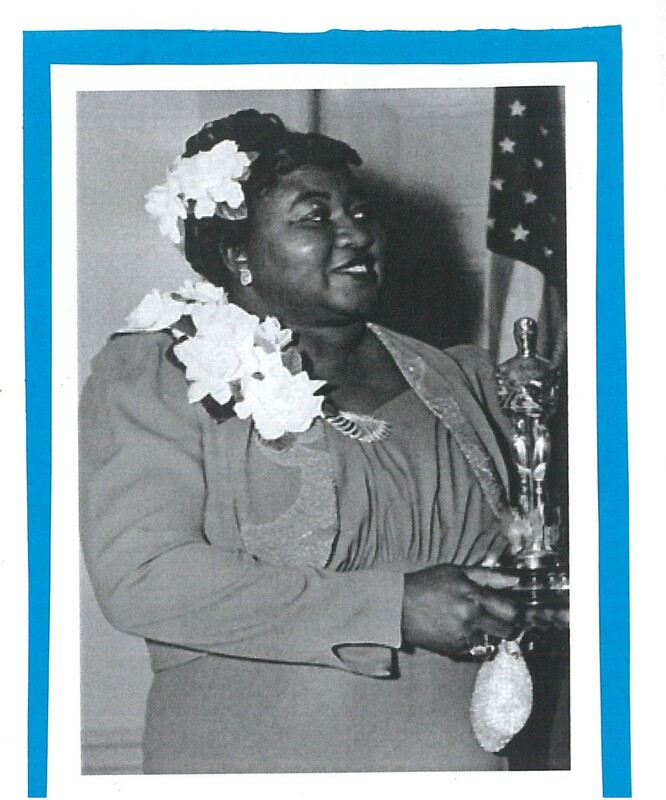 Clark Gable , a friend of Hattie McDaniel stepped up and demanded that Hattie McDaniel be given the part as Mammy. Though Clark Gable wanted her in the role she still had to audition and do a screen test for the role of Mammy. Her audition left no doubt in anyone’s mind who should be cast in this most important role. Once the film was complete the studio selected the film’s premiere to be held in Atlanta, Georgia. Friday, December 15, 1939 all the stars of the film were there except Hattie McDaniel. unless Hattie McDaniel would be allowed to attend. Hattie McDaniel went to Clark Gable and convinced him to attend the premiere without her. the movie’s Atlanta premiere. A young ten year old black boy named Martin Luther King Jr. actually appeared on the stage at a charity ball dressed as a slave boy. Hattie McDaniel was able to attend the Hollywood premiere of ‘Gone With the Wind ‘ on December 28th 1939.
for her role as “Mammy” she won for the Best Supporting Actress; no black actor had ever won an Oscar nor had any black actor even been nominated for such a high honor in American films. I, Charles Micheaux have always been inspired by Artist like Hattie McDaniel because she taught us there is a way to reach your dreams, if there is the will to pursue them. Rosa Parks legacy. 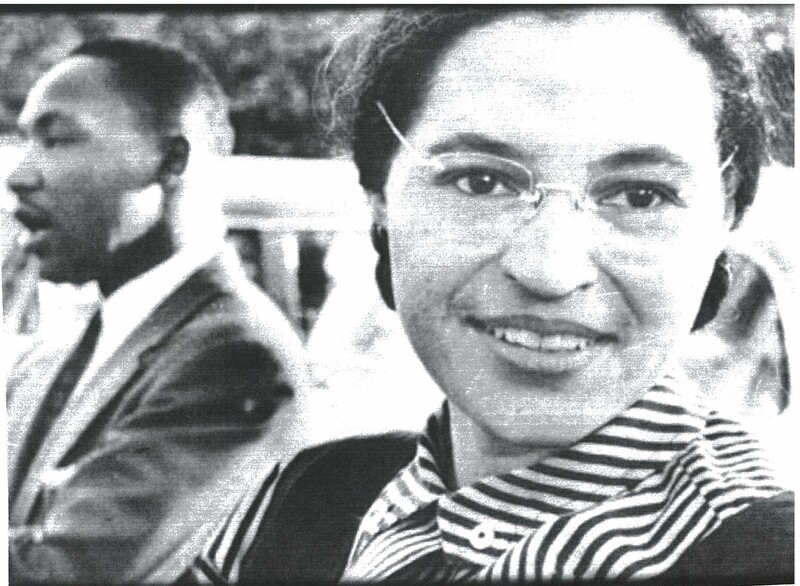 The story of Rosa Parks begins with the beginning of the legacy of Dr. Martin Luther king Jr. This act of supreme courage by Rosa Parks sparked protest from black and white people alike all across America. passenger a woman named Mary Louise Smith and Claudette Colvin, all black women, each was arrested for refusing to give up their seat to white passengers but yet there was no protest from the people. Why was there no protest to support Mary Louise Smith, Claudette Colvin and Irene Morgan? Dr. Martin Luther King Jr. had not yet arrived in Montgomery,Alabama. grossly unfair to it’s black citizens. Once Dr. Martin Luther king Jr. settled in as the new pastor of Dexter Street Baptist Church all the right pieces were in place for God to do His work through Martin Luther King Jr.
greatest orator and clergyman. Dr. King was immediately selected to lead the protest against the city of Montgomery. The fight went on for 381 days and some black people who refused to ride the buses would rather walk 20 miles each and everyday rather than give up the protest. The white bus company was at the brink of going out of business because of the powerful bus protest lead by Rosa Parks and Dr. Martin Luther King Jr ; the white bus company at the end of 381 days had lost $300,000 dollars in DIMES! At the end of the protest sparked by Rosa Parks there was a new spirit not just in Montgomery, Alabama, but in America. of Montgomery and he told them they should resume bus transportation. Yes, there was a new spirit born in Montgomery; because a small black boy was standing with his father and was seen warming his hands at the foot of a burning cross set by the KKK. The black boy and his father used the fire set by the KKK to warm their hands and in their hearts there was no fear. “We’re going to change the world. One day they’ll write about us. Today we celebrate the first day of Black History Month 2019. Joan Baez and last but not least Viola Liuzzo. Today every black child smiles brighter and stands taller under a glorious and endless blue sky thanks to the great sacrifice of Viola Liuzzo. Vilola Liuzzo was a white woman, a civil rights activist, housewife, and mother of five children. cashier. The two women shared similar views and support for equal rights. Viola Liuzzo like Dr. Martin Luther King Jr.
held the strong belief that one person can make a difference and she saw herself as that person. One day while she saw on TV the horrible events of “Bloody Sunday” she decided then and there she would get involved and do something, go to Selma, Alabama and offer herself for the cause of social justice for all Americans. to transport other activist into the community and help register black people to vote. During one transport of a fellow black activist the KKK pulled along side Viola Liuzzo and shot her in the face killing her instantly. The KKK members responsible for her death went to trial and were all found not guilty despite overwhelming evidence against them. Viola Liuzzo died on March 25th 1965; she was only 39 years old. In the aftermath of her death, her best friend, Sara Evans, a black woman would go on and become the permanent caretaker of Viola’s five children. “MRS. VIOLA LIUZZO WENT TO ALABAMA TO SERVE THE STRUGGLE FOR JUSTICE. The tragic killing of Viola Liuzzo did prompt the federal government to pass the Voting Rights Act of 1965. In 1991 the women, the beautiful women of Southern Christian Leadership Conference (SCLC) placed a marker on the very spot where Viola Liuzzo was so violently killed. Viola Liuzzo was THE GOOD SAMARITAN Jesus spoke of and Dr. King even has two sermons on THE GOOD SAMARITAN and out of all of Dr. Kings sermons those two are my personal favorite. Viola Liuzzo was that for 22 million black Americans and she leaves behind an indelible mark on the hearts and minds of all humanity, all who love justice and freedom. We must in the black community teach our children about this heroic woman who marched among giants of the greatest movement for social justice in American history. This essay on Viola Liuzzo was shared with over 79 websites! speech he always lovingly speaks about the life and legacy of Viola Liuzzo. Ancient Greece Magni… on Ancient Greece Magnificent! MICHEAUX PUBLISHING Blog at WordPress.com.